88KeysToEuphoria.com - Learn to play Bollywood songs on the Piano! New Website Offers Bollywood Piano Video Tutorials!! 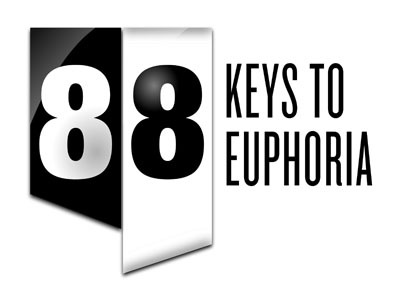 88KeysToEuphoria.com is the world's first and only web portal solely dedicated to teaching you the gift of music - Bollywood style! No prior musical training is required. With beginner and advanced guided video tutorials for each song, learning your favorite Bollywood tune ON PIANO is fun, fast, and beautifully rewarding! Learn the melody and chords in the beginner tutorial, and the left-hand arpeggios in the advanced tutorials - all personally instructed by Founder Aakash Gandhi! Founder of 88KeysToEuphoria.com, Aakash is an accomplished Indian pianist and keyboardist from the United States. Soon after launching his personal YouTube channel in January 2008 (www.youtube.com/88keystoeuphoria), he quickly became noticed for his signature covers of popular Bollywood songs, which ultimately landed him as YouTube's #1 Most Subscribed Indian Musician (as of May 2010). Some of his most popular covers include "Tujh Mein Rab Dikhta Hai," "Jai Ho," and "Tujhe Bhula Diya," which have generated hundreds of thousands of views. With a rapidly growing fan base, Aakash has performed at trendy U.S. venues in New York City, New Jersey, Orlando, Tampa, and Dallas. In pursuit of a lifelong dream of making music for Indian films, Aakash is a passionate composer/songwriter and is a member of the eclectic music group - Crossover 4. In addition to being a gifted musician, he is a respected and well-published film and music critic. For six years he served as Managing Editor and Senior Writer for PlanetBollywood.com - a leading web portal to the Indian Film and Music Industry. He has also freelanced with AVS TV Network (avstv.com) - the premier South Asian Television Network in North America. His extensive portfolio of works has also been featured in well-known international publications, including BBC, Times of India, NY Times, ABC Nightline, Mid Day, and Filmfare.